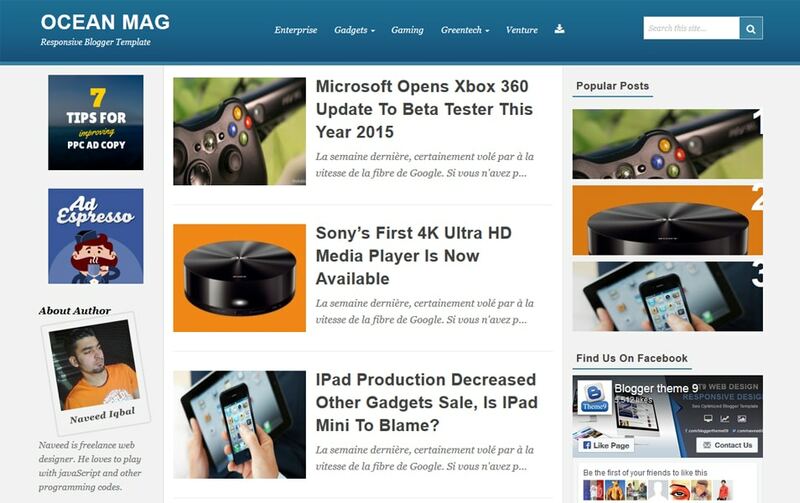 Ocean Mag is a three column template designed for high resolution screens to a mini cell phone. Choose this template only if you have a blog with long post. There should be long description or article written along with h2 headings.